Friday August 31, 2018 - Director of Public Prosecutions, Nordin Haji, has written to the Speaker of the National Assembly, Justin Muturi, and his Senate counterpart, Ken Lusaka, expressing his dissatisfaction with the conduct of some legislators who are defending corruption suspects. 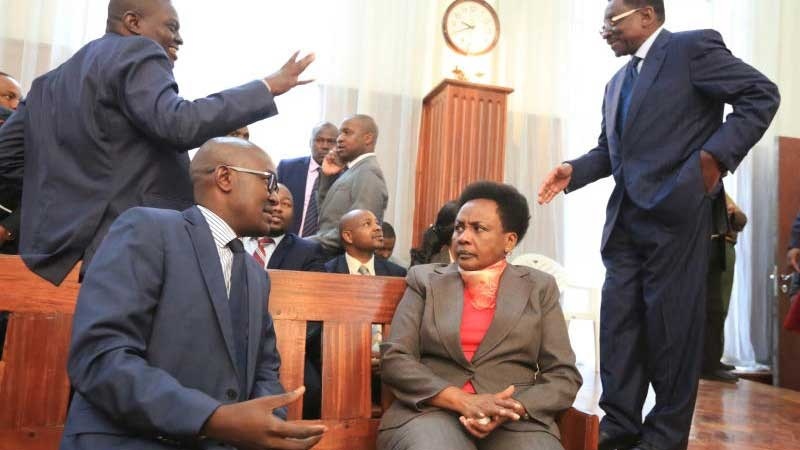 On Tuesday, when Deputy Chief Justice Philomena Mwilu was arrested over corruption related offences, Siaya Senator James Orengo and his Makueni Counterpart, Mutula Kilonzo, led a battery of 33 lawmakers in defending the Deputy CJ. The move by the lawmakers did not auger well with many Kenyans who accused the legislators of supporting corruption by defending Mwilu. The DCJ is accused of abuse of office, accepting bribes and being involved in the collapse of Imperial Bank when she was a Court of Appeal judge. In the letter to the Speakers, Haji alleges conflict of interest over House committee membership. Haji said the lawmakers are members of House Committees and they may interfere with the prosecution process Mwilu. The right to lawyer is guaranteed in the constitution.